This collection of short stories is #12 of Penguin's "Great Loves" series. It includes three I have not read before: The Sensible Thing, The Bridal Party, and Magnetism, along with the classic early flapper story, Bernice Bobs Her Hair. Published in 1928, these were the very early days of Hollywood, yet Magnetism captures the celebrity spirit in a way that is all too familiar today. One can imagine, however, the low-tech environment where famous actors still roamed the suburbs, startling elevator boys with their good looks and charm. Although Hemingway chastised Fitzgerald for writing short stories for money, instead of focusing on masterpieces like Tender is the Night, Fitzgerald's short stories are far from commercial ephemera that have lost their meaning in the present. It strikes me that the only difference is, back then, only the wealthy could experience such dramas as being considered dull and trying to project oneself as desirable, witty, and fun, whereas now almost any average consumer strives for the same thing. This is a very quick read, but Fitzgerald's work doesn't disappoint. 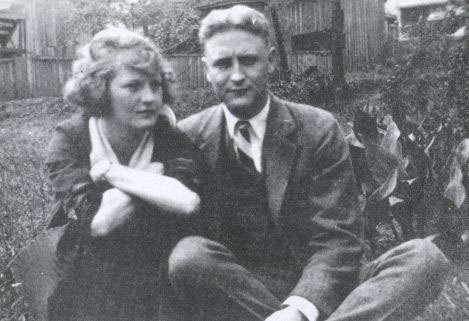 It is only a shame that his short stories are scattered far and wide - as he would have delivered them to individual magazines in an effort to earn money - that a devoted Fitzgerald fan must constantly search for ever-more Fitzgerald stories to read. Nonetheless, part of the fun is discovering, from time to time, what seems to be an bottomless well of Fitzgerald ephemera still waiting to be discovered.